Why Should My Child Go To IMTA? We understand that allowing your child to attend an IMTA Convention is an important decision. Preparation and training require a major time commitment, support of a child’s dream involves the entire family, and the cost must be balanced between being seen as an investment in a child’s future or a stretch of financial resources. If you’re the parent of a child who is interested in modeling or acting, you may have thought of the many opportunities, such as making a lot of money, traveling, meeting interesting people, and being exposed to cultures from around the world. What can I learn about the business? Why should I let my child go to IMTA? Some of your questions can be answered by reading through our Frequently Asked Questions. Others can be directed to an IMTA member training center near you. And some life-altering questions can only be answered by looking at what is best for your child. We obviously can’t address every question or situation that may arise because each family’s situation and questions are different. What we can do is try to address concerns about IMTA, the companies scouting at IMTA, and what happens at IMTA. Feel free to click on any question below to see the best answer we can provide for you. Our goal is (always has been and continues to be) to ensure every attendee has the opportunity to fulfill their dreams of becoming a professional model or performer. We accomplish that goal by providing a venue where those hoping to get a start on a career in the modeling or talent industries can showcase their acting, modeling, singing, dancing or songwriting skills to hundreds of agents, managers, casting directors and industry VIPs—a phenomenal opportunity when you think about it. In the FAQs we talk about the educational opportunities IMTA provides and what a person can learn from attending IMTA, as well as the benefits of increased confidence, greater self-esteem and becoming a stronger person. We also talk about IMTA as an investment in the future and investment in oneself. The value of attending IMTA will be different for each child, each family, each person. Attending IMTA does not guarantee success; it does provide an amazing opportunity to be successful. How do I know the agents and managers at IMTA are legit? 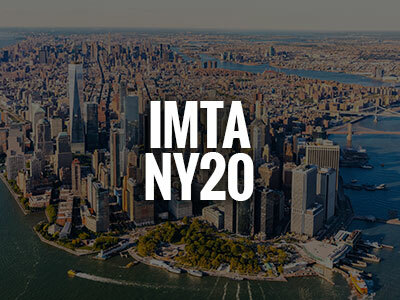 IMTA is a “closed” convention, meaning only a select list of companies receive an invitation. This ensures that not only are contestants being scouted in a professional, supportive environment, but they are being seen by “the best in the business” – respected agents, managers and casting directors who each have an established reputation in the modeling and talent industries for finding and promoting new faces. Most agents and managers attending IMTA are referred to us by other agents and managers who know IMTA’s reputation for ensuring the legitimacy, history and credentials of those judging and scouting our contestants. If IMTA learns of any questionable activities or practices by any of the agents, managers or industry professionals at IMTA, they are immediately asked to leave and are not invited to return. As noted above, IMTA is a “closed” convention. In addition to companies needing an invitation to scout at IMTA, this also means that only registered participants (contestants, parents, guests, training center staff, invited vendors and IMTA staff) are allowed in IMTA competitions and events. Everyone registered receives a badge which must be shown to enter competitions and events at IMTA. In addition, hotel security at our convention hotels is constantly present and monitoring our events. Will I be able to watch my child in competitions? IMTA competitions are either “Open Set” or “Closed Set.” For Open Set competitions, registered Parents, Guests, Directors and other Contestants are invited and encouraged to be in the competition room along with the Judges. A Closed Set competition is privately judged and only Contestants, Judges and IMTA Staff are in the room. The competitions that are Closed Set reflect closely what happens in a professional situation such as an audition. Will I be able to accompany my child to his/her callbacks? Only Agents, Contestants and Directors are allowed in the callback rooms. However, one Parent may accompany a child 12 years old or younger into the room. A callback is similar to a job interview. Agents are trying to get to know the Contestants (and their Parents, if accompanied) as well as get an idea of how a Contestant can handle an audition or meeting with a Casting Director. They want to be sure an aspiring model or performer is comfortable talking about his or herself, can willingly and openly discuss goals and ambitions, and can function independently. What preparation is required for my child to attend IMTA? Training centers put together a “package” to attend IMTA that typically includes all preparation and training (see our FAQs). Once a child has been invited to attend IMTA by one of our member training centers, the IMTA Director helps further determine what specific preparation your child needs by clarifying what his or her goal is in attending IMTA and which competitions they will enter. Actors: Preparation for actors may include classes or coaching that focuses on the different competitions, such as on-camera acting for the TV Real People Commercials and On-Camera Host, working on Cold Read scenes, and selecting and rehearsing a Monologue. Models: Models receive runway coaching and on-camera acting for the TV Beauty Commercials. Commercial scripts are provided to Directors several weeks prior to a convention so Contestants have time to memorize and rehearse them. Others: Improv scenarios, Cold Read, Voice Over and On-Camera Host scripts are provided at the Convention just prior to those competitions. Some training center packages will include a photo shoot with a professional photographer, while others may offer it as an option at an additional cost. In either case, professional-looking photos are a model’s or actor’s primary marketing tools. Models need several photos with different poses, wardrobe, hair and makeup to start a portfolio, while performers usually just need a couple of good headshots. A photo shoot is also designed to generate photos for the Fashion Print, Commercial Print and Theatrical Headshots competitions. Most packages will include the cost of placing a head shot in the IMTA Program Book. Packages also usually include helping actors create a professional résumé or models putting together a professional-looking portfolio. 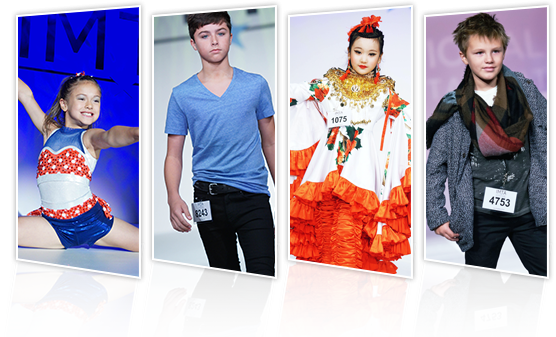 The Agents, Managers and Scouts at IMTA understand that IMTA Contestants have little or no professional experience. However, they do expect Contestants to act professionally, be prepared for their competitions, and be ready to begin a professional career. IMTA members are respected for their training and preparation, and IMTA’s reputation for presenting skilled, marketable and industry-ready models and talent is unmatched.